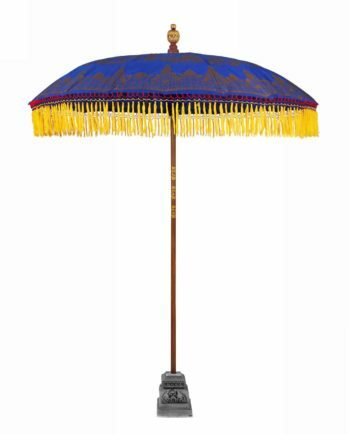 Bring the magic of Balinese festivals and celebrations into your space with one of our ceremonial umbrellas and traditional stand. 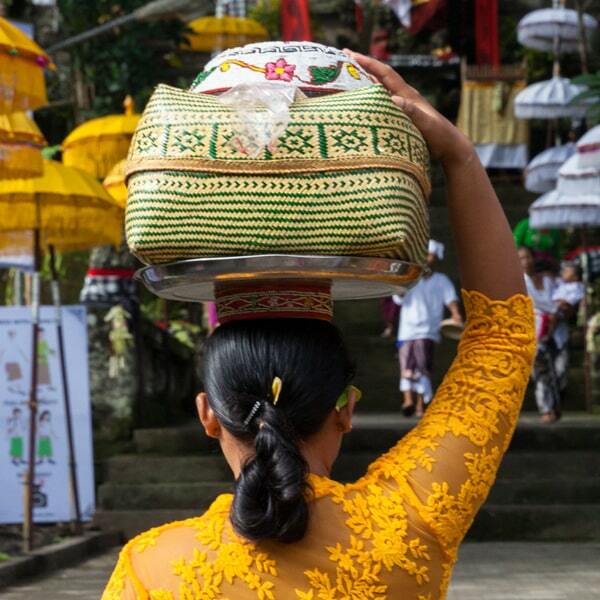 These bright yellow decorations adorn temples and shrines on special occasions and are traditionally aligned toward Gunung Agung, the scared mountain in Bali. 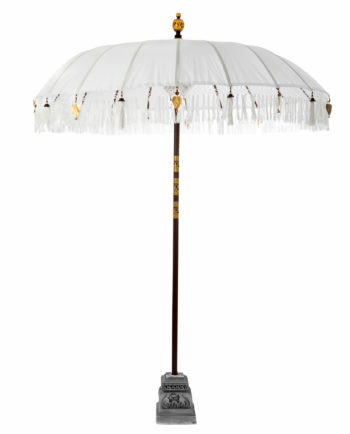 They add a quirkiness and colorful charm to garden and outdoor parties. These are for temporary decorative features only and not built to withstand strong weather conditions.